CRAZY DISCOUNT! 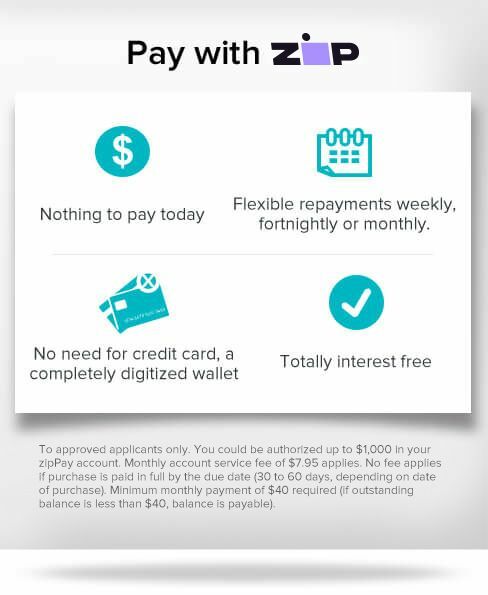 Was: $279.95 Now: $179.96! 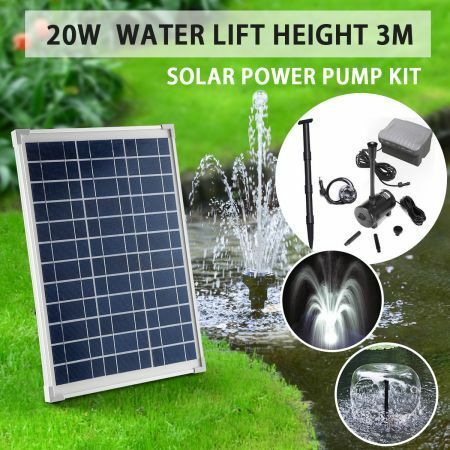 Create your own display with this Shogun 20W Solar Power Fountain Water Pump Kit. It is designed for indoor or outdoor fountain use. 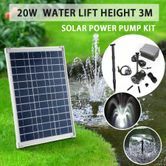 Powered by a solar panel, this high quality solar pump will give you reliable operation, saving you time and money spent replacing and maintaining underground wires. Operation is simple! Just place the solar panel in the sun before putting the pump in your fountain and enjoy the soothing sounds. With an included timer and you can forget it allowing for water shows at dedicated times,pumps will work 10 minutes every hour . The Kit also comes with 6 LEDs so you can create night time spectacles that everyone will love. Tubing can be attached to raise the water above the surface of your container for something such as a waterfall. Package Size 54cm x 37cm x 27cm approx. I have had 2 of these kits operating on separate aquaponic systems one operating for 20 months and the second 18 months continuously and am very pleased with them. They draw only 0.3A at 12 volts low head of about 30cms and are very quiet operating. One pump did get stuck once but a simple shove of the rotor had it working again that was 6 months ago. My only gripe is with the battery size being too small so I added a second battery in parallel to keep it operating over longer periods of grey overcast weather of 4 or more days. I am a very happy customer.